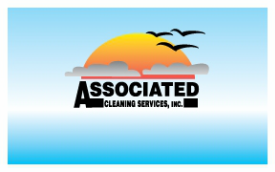 Employment at ACS - Associated Cleaning Services, Inc.
Come be a part of our great team. Scroll to the bottom to fill out an on line application. Due to our successful growth, ACS provides great job opportunities and room for growth, just ask our Operations Manager who started as a part time night custodian with ACS. ACS has been in business for over 40 years. In the last 10 years under the new management of Levi, the company has more than doubled in size and has had continuous growth for the entire 10 years. This summer ACS has tripled in size in the Newport division. This growth creates new job openings all the time. All jobs at ACS are year round jobs, we do not hire seasonal help as our work load does not change in the winter. We offer many great positions and schedules to help fit the needs of our employees. Many of our staff uses this as a second job to help pay a few extra bills and end up staying on for decades due to the great work environment. We provide direct deposit payroll, paid sick time, bonuses, some positions even get tips, paid vacations, company vehicles, paid cell phone, reimbursement pay and more. As part of the ACS team, you have access to AFLAC plans at discounted rates. We are also considering adding company matching retirement plans in 2017 or 2018. Our range of employment areas are on Hwy 101 from Astoria to Bandon, Hwy 20 Newport to Sweet Home and the mid-valley Albany to Portland. If there is not an opening in your current area go ahead and still apply. Our growing needs result in job openings coming up all the time. Below is our list of positions at ACS.